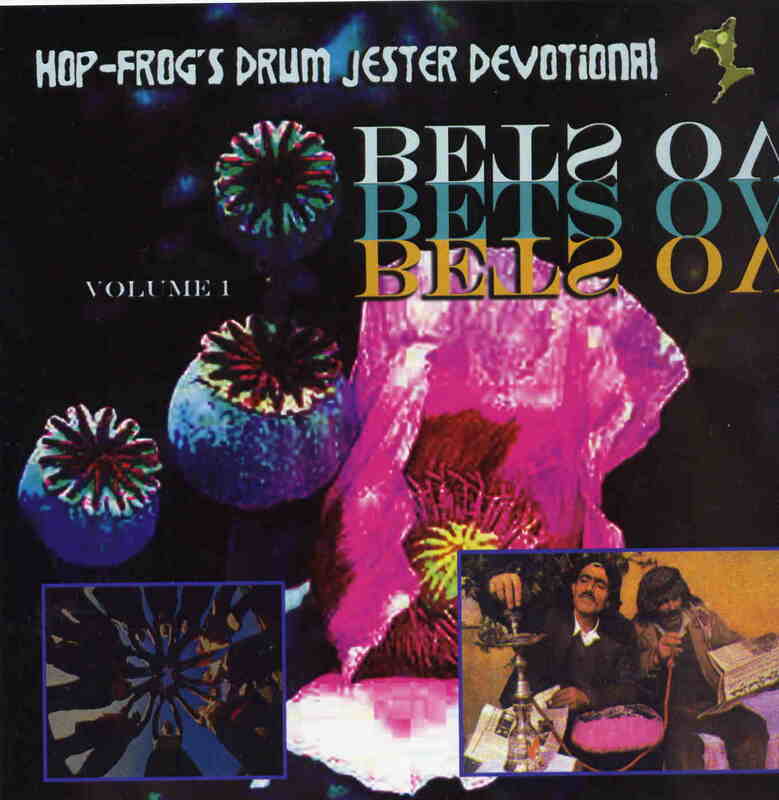 Hop-Frog’s Drum Jester Devotional perform the kind of psychedelic tribal ethnic fusion dance music pioneered by groups like Loop Guru, Transglobal Underground and especially Suns of Arqa. Complex rhythms are combined with looping ethnic voice samples, pulsing electronic tones, Asian musical sounds, and weird effects to create a trance-like hypnotic sound. Because of its generally trancey nature, this kind of stuff can get somewhat repetitive, especially when the same voice samples are used over and over again in a given song. But the Hop Frog’s do make each piece distinctive, and shake it up a bit now and then, like with the spaced out symphonic textures of Another Intricate Gem of the Mouthfrothian Liberation Front (which has to be mentioned simply for it’s title alone!) and they even get a little bit industrial sounding on You Can’t Do That to Me, I’m an American. But, alas, it’s all not too terribly groundbreaking. Suns of Arqa were doing this kind of stuff as long as almost 30 years ago, and the heyday of the scene in the mid-90’s has long since passed. That by no means makes this bad music. If it had come out 10-15 years ago it might have been considered revolutionary. Now come’on, you might say, you guys at AI love it when some space rock band comes out sounding like classic Hawkwind from the 70’s, what’s wrong with a little retro, huh? The answer is, nothing at all! It’s just retro to a different era, and if you like the kind of stuff I mentioned above, you will find much here to enjoy.